I hope that's how they look, I'm pretty happy with how faithful that is compared to what it could of been. I have a feeling I'll only mainly be liking a couple of SS members in this film. Okay so they're going with that look. You can even see the Damaged tatt there. Also, is he taking a slash on the guy he just slapped? Will be passing on this. It feels like a bunch of cosplayers got together to make a movie. Cant stand Will Smith in serious roles. He's the same character in everything. Predictable. 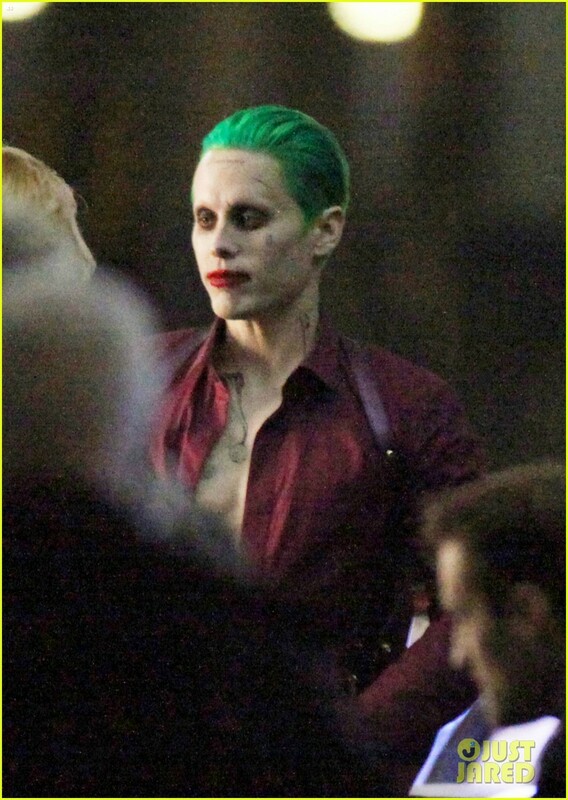 This joker just looks too neat. I thought he was an agent of chaos? Now he just looks like a slightly out-there mobster. The tats still bother me, its too self aware. Also the tats look well cared for, I don't see the Joker caring for his tattoos properly after getting them done, rubbing the ointment on it at regular intervals etc. Trailer has leaked! watch it before it gets taken down. 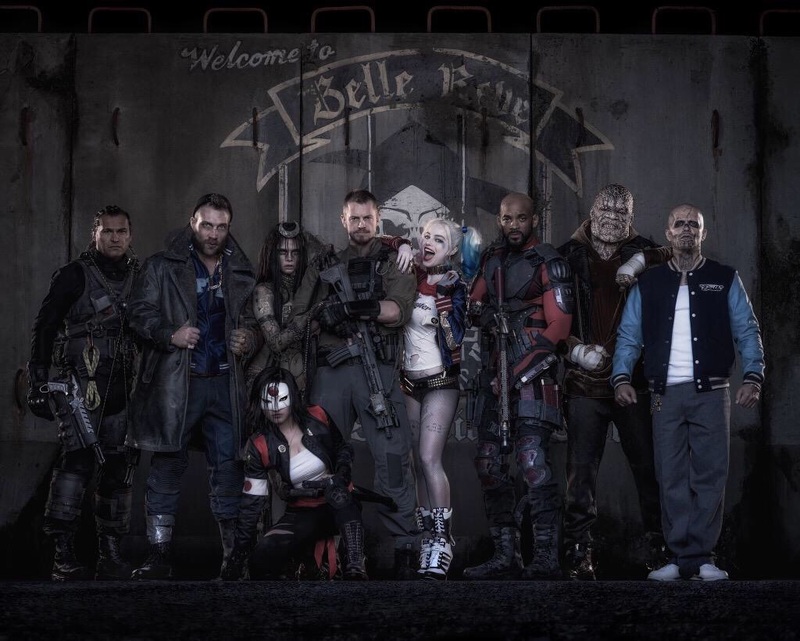 Looks cool, Harley's gonna steal the movie. Leto's Joker voice sounded like a direct Ledger lift. Jai Courtney looking as bland as ever. Only he can make someone with that outfit and that facial hair seem boring. Last edited by kransky; 12th July 2015 at 8:32 pm. I thought he was good in Spartacus, far from bland. Still not impressed by Leto but again, Ill wait til the full film until I make the final judgement. Im more interested in the lesser-known member of the SS anyway, the ones that barely get talked about or mentioned in shows/spin offs. Hard to tell off cell footage really, but I'm not sold on the film personally... we'll see. I mostly still have issues with the whole DC Cinema Universe approach here from WB, which is that they don't really even have a solid base for this very fast expanding universe to deal with... it would be easy to overlook the speed of this if the films they've been making look like original and solid pieces of work, but so far I'm hard pressed to believe given the response to MoS and the general comments about that sequel... the general public will unlikely make this as much of a success unlike that has build up around Marvel's films. I could be wrong entirely, and I'll have to wait and see what the reaction is to BvsS when it comes out, but I certainly don't see this film sucking up the $$$ on release.... and if that happens, who know what their future gamble plans on this whole thing will go. Looks great, though I wish Will Smith wasn't in it. Will probably watch it due to Harley Quinn, Joker seems a bit too metro sexual for me. Pretty fitting song for the trailer, a remix of the old Bee Gees song. I'm sold on Harley, would have liked to hear a little bit more dialogue from her though. The other characters didn't seem to get much screentime in the trailer, hope it's not like that in the movie.